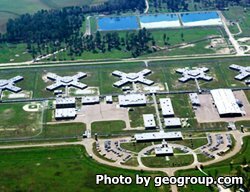 Allen Correctional Center is a privately run institution through a contract with the Louisiana Department of Corrections. This prison can incarcerate 1,538 adult male offenders of minimum, medium and maximum custody levels. Inmates are initially diagnosed and classified on intake and treatment/programs that will benefit the inmate are assigned to increase the offenders chance of rehabilitation and successful reintegration. Some of the treatment programs offered include substance abuse treatment and parenting classes. Inmates who will be released soon take part in pre-release programs which help prepare them for the change in daily life once they are no longer incarcerated, including preparing them with life skills, job placement and giving them access to various support services. Educational programs are one of the fundamental aspects of an inmates overall success. Allen Correctional Center offers inmates adult basic education courses, literacy classes, and the ability to earn a GED. Vocational skills are taught to all eligible inmates in a variety of subjects including upholstery, cabinet making, computers, horticulture, and culinary arts. Visiting occurs on Saturdays and Sundays from 8am-4pm. Visitors must arrive and enter the facility by 2pm or they will not be processed for visitation. On the 5th Saturday or Sunday of a month only minimum trustee and medium honor offenders will have visitation. Visitors can bring one unopened pack of cigarettes and a lighter with them and can purchase a 'zip key' to make purchases from the vending machines in the visiting room. No money may enter with you into visitation so whatever money you enter the facility with must be placed on a zip key or left in your car.